My name is Bob Jones, co-owner of Moon Dumpsters. I personally handle the day to day operations of our company including, customer service, scheduling and dispatching our deliveries. 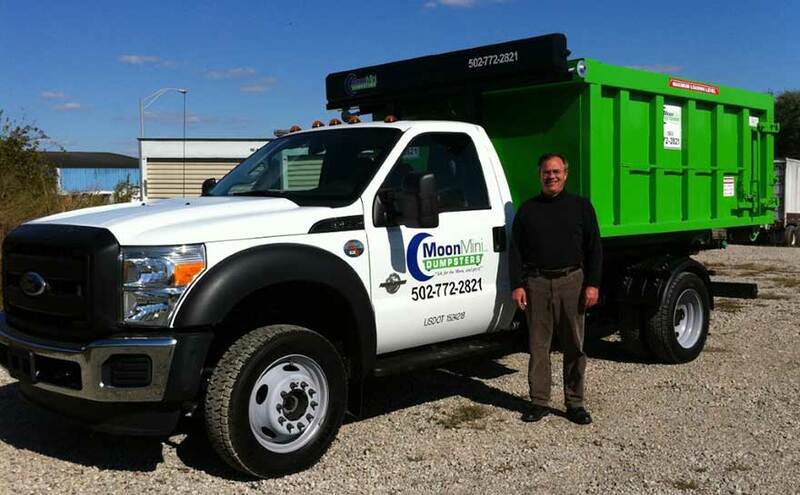 You can contact me directly by calling 502-772-2821 or by sending an e-mail to bjones@mooncompanies.net. We started our company in 2006 by supplying residential portable storage containers for people who are moving or re-modeling. If you are interested in more information on this service, please visit our Go Mini’s Portable Storage web-site at www.gominisky.com. We discovered that when people are moving and remodeling they often need a dumpster. So in 2011, we added roll-off dumpsters to our product line. Since our inception, we have experienced steady growth. We know that our success is the result of maintaining high standards in our day to day business practices. We are fair and dependable. We do what we say we are going to do. We provide an excellent product at a fair price. Thank you for your interest in our company and we look forward to working with you!